When summer is about to come, you can see lots of motorcycles in different styles, models, and colors in the parking lot. This is the time when bikers are on the roads waiting to participate in the bike nights. With various models of motorcycles that you can see around, for sure you will be surprised with what APWorks has to offer. 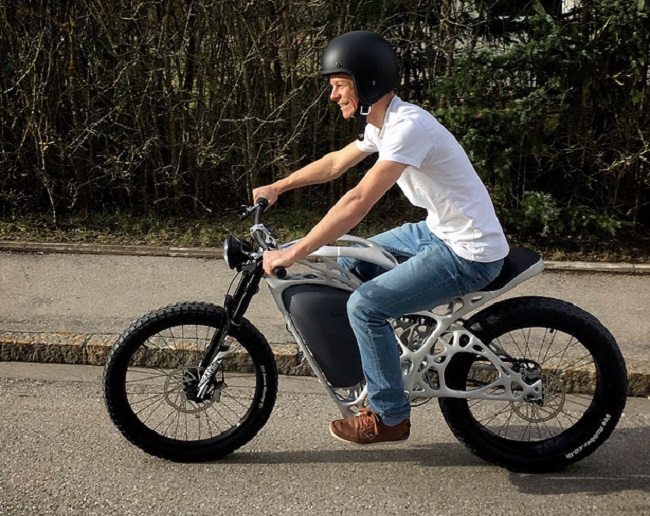 They have created a 3D printed motorbike that weighs around 35 kg that is 30 percent lighter compared to the usual motorcycles. They call it the Light Rider that can run from 0 up to 80 kilometers per hour and can also travel around 60 km among charges. 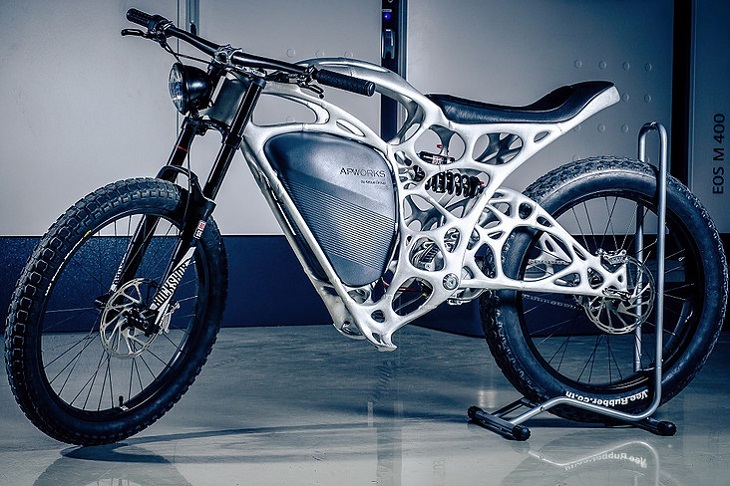 The 3D printed bike was made of an aluminum alloy called Scallmaloy which is corrosion-resistant and can be compared to the strength that titanium is known for. The reason why the bike is lightweight is because of a hollow frame that was created through a laser melting system. Though it looks fragile because of its silvery web design, you can still be assured that it is strong and can support your weight no matter what the condition is just like what an ordinary motorcycle can do. According to the CEO of Airbus APWorks GmbH, it will not be possible to create the structure through welding and milling. 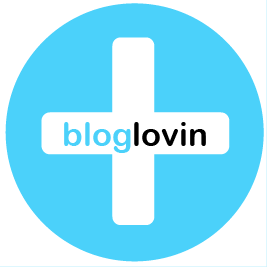 With the development of additive layer advancing, they came up with a bionic design without making complicated changes. This made them overcome the limitation related to the conventional way of manufacturing a motorcycle. APWorks was inspired by nature when creating the Light Rider the same with the other successful companies. They came up with an algorithm with growth patterns and natural designs that serve as the key for them to create a 3D printed motorbike that is lightweight and with a strong frame similar to the bones of the birds. The frame only weighs 6 kg and the remaining weight of the bike comes from its various components like the electric motor. APWorks said that the weight ratio of the bike is the same as the supercar. It has zero emissions and can help you save energy without causing harm to the environment. 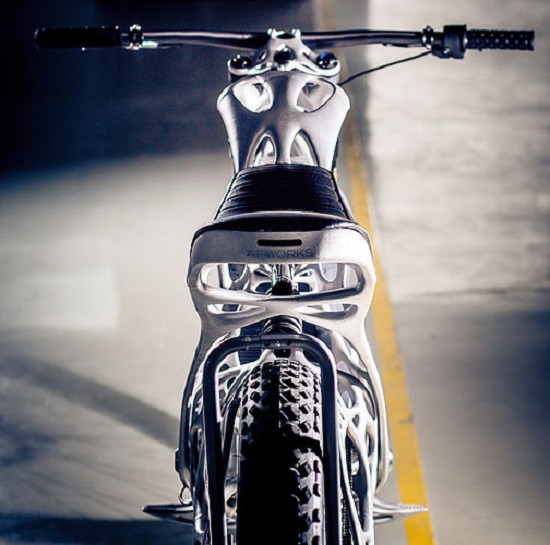 This is the first 3D printed motorcycle in the world that was produced by a well-known manufacturer. You cannot deny that the Light Rider is unique and looks really cool. 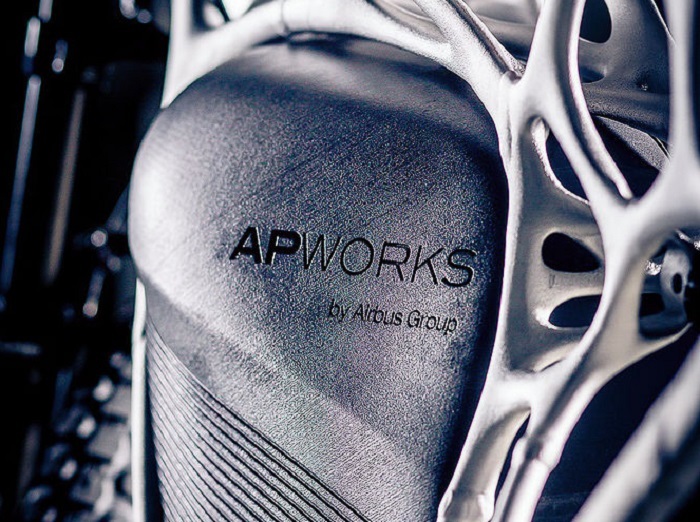 For those who are interested in driving their own Light Rider, it is necessary for them to make a quick move because APWorks will only release a limited number of this 3D printed motorbike. There will only be 50 3D printed motorbikes available that you can purchase for €50,000 equivalent to $56,095. Obviously, this is not a cheap bike that anyone can have but who knows, there might be some changes that you can expect in the future? In less time, you might see this spidery design motorcycle that looks delicate next to Harleys or in various parking lots around.